Approximately one half of Canadians do not have a will. For those who do, many are in need of an update. While preparing a will is not a priority for many of us, the reality is that nobody lives forever. The need for valid, well-prepared wills has never been more pressing. Approximately one half of Canadians do not have a will. For those who do, many are in need of an update. While preparing a will is not a priority for many of us, the reality is that nobody lives forever. As the baby boomer population ages, we are approaching the greatest intergenerational transfer of wealth in history. 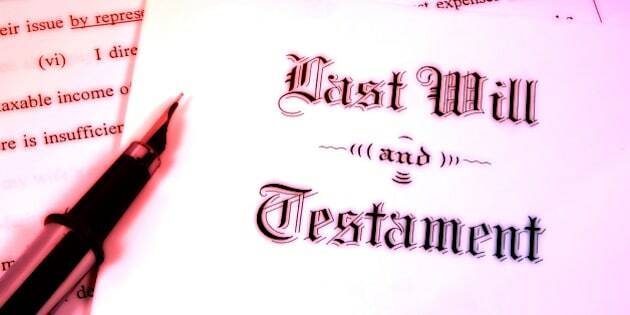 The need for valid, well-prepared wills has never been more pressing. A will, generally, is a legally binding written document that provides a roadmap of sorts for your estate trustee. It dictates how, when, and to whom your assets will be distributed. It can direct gifts outright to your loved ones or to charities, or manage the timing of gifts through trust mechanisms. Within some limits, a will is generally the best way to ensure that your property goes where you want it to. It is the key document in any estate plan, and it should express your wishes in as clear and concise a manner as possible. When deciding to make a will, the first step is to decide on what you want. It is well worth the time to sit down and prepare a wish list of what you have, what you would like your estate plan to accomplish, who you would like to receive what assets, and how and when you would like them to receive those assets. You may want to think about what might happen in the future as needs and circumstances change. Some special assets, like the family cottage for example, might need more complicated arrangements. A wish is just a wish unless it meets the formal legal requirements to be considered a will. There are generally two types of wills recognized by law in Ontario. The requirements for each are spelled out in Ontario's Succession Law Reform Act (the"SLRA"). A handwritten, or "holograph" will, under s. 6 of the SLRA, needs to be entirely in the handwriting of the testator. It also needs to be signed at the bottom. No lawyers or witnesses need to be involved in the process. Provided that the document is otherwise valid, the courts have accepted holograph wills scribbled on a napkin or even engraved on a tractor. The rules may be relaxed even further for a member of the Canadian Forces on active service. The more traditional form of will is the formal or "attested" will. Governed by s. 4 of the SLRA, the attested will must be executed properly to be valid, and the rules are fairly strict. The will must be signed by the testator at its end, or by someone else in the presence of the testator and under his or her direction. Two witnesses must be present at the same time that the testator makes or acknowledges the signature. The witnesses must each sign in the presence of the testator. Do-it-yourself will kits can be used, but they can easily go awry without the advice of a lawyer. For example, a fill-in-the-blanks kit may not be entirely in the handwriting of the testator, and may not be valid as a holograph will. Ideally, the advice of a lawyer should be sought out. The cost of a properly drawn will is generally much less than the cost of potential litigation. If a person dies without a will, the SLRA provides for a default distribution scheme. If there is a legally married spouse, the spouse is entitled to a preferential share. The legislation provides for the remaining assets to be divided between the spouse and the issue of the deceased. If there is no spouse or children, then it will go in order to the deceased's parents, siblings, nieces and nephews, or other relatives according to their degree of relatedness. The estate will only escheat and become government property if there are no living relatives. Intestate succession has many disadvantages over a will. There is no ability to control the timing of distribution or to set up a trust. There is no way to give to a charity or cause. Taking the time to prepare a valid will and regularly updating and maintaining it is the best way to ensure that your wishes are followed.